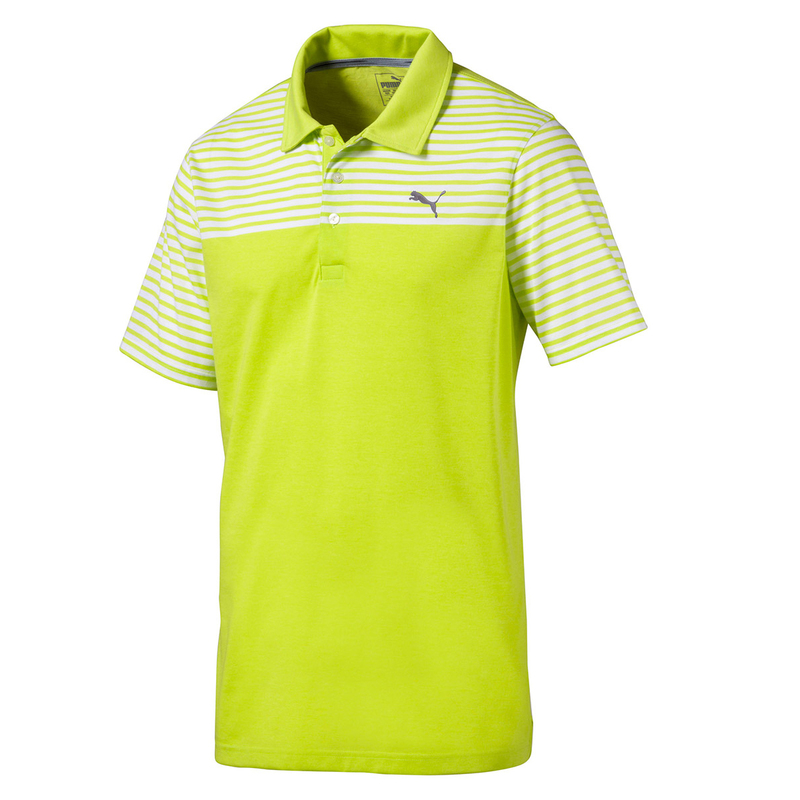 Play golf with even more performance, with this highly impressive polo shirt from PUMA Golf. 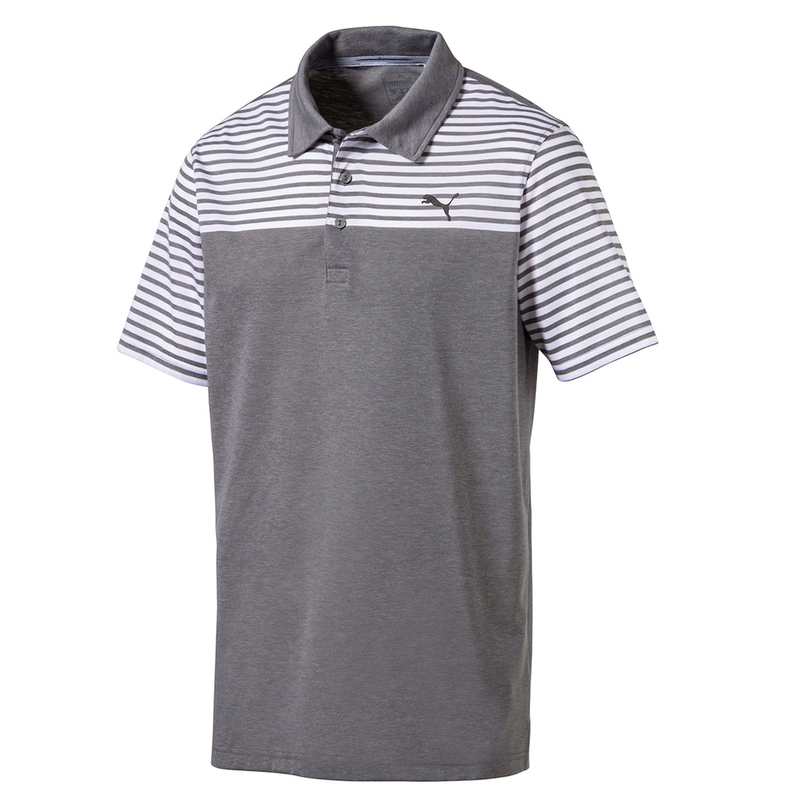 Constructed with a moisture wicking stretch fabric to ensure you can play golf with less distraction. This ensures greater mobility, and draws sweat away from the body to keep you dry and comfortable. The garment has stripes on the chest and sleeves, with solid colour body, and has PUMA branding on the left chest and back collar.